Over my christmas break, I had a couple weeks to rest and relax [AKA babysit and take a family roadtrip.] 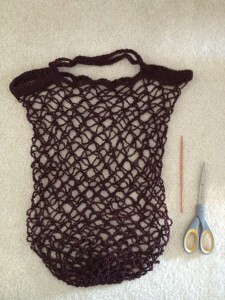 Fortunately, I had a couple days to sew and crochet so here’s what I made! For my mom and a friend, I made a linen grocery tote. 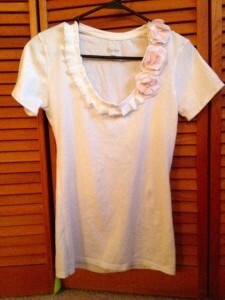 Then I fashioned myself a shirt after getting inspiration from Etsy.com. 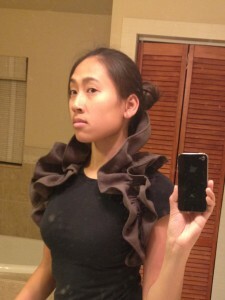 I used the same concept as when I made a version of the ruffle J. Crew shirt by buying a larger-than-my-size long sleeved shirt and then using the sleeves as extra fabric to make the ruffle. Since this is the first week back to classes, I’m taking advantage of the little time I have free to sew as much as I can-especially since the projects I am working on are supposed to be Christmas presents. 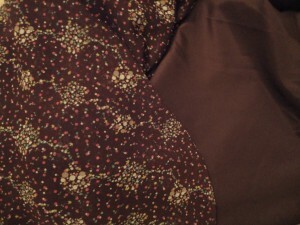 >.< So far on this wonderful Friday evening, I have made my friend a ruffle vest and will soon start on her le sac dress. Like last week, I was in a ruffled shirt mood, so after searching google on ruffle shirts last week, I had a few sites bookmarked. P.S. 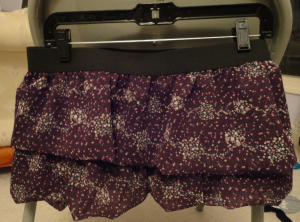 This works better when you use a well-fitted tee since the ruffle makes the front heavier. 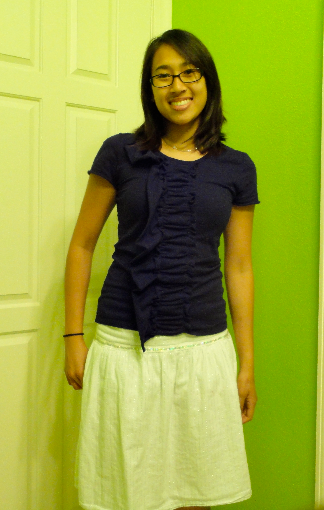 The shirt I used was made to be loose so the front sagged and looked weird with the addition of the ruffle. Simple solution: take in the sides to make it a tighter fit using pre-existing tee as a template. P.P.S. I forgot to take a picture of this shirt when I was out and about so the lighting is so-so. I did have a picture of me out and about. 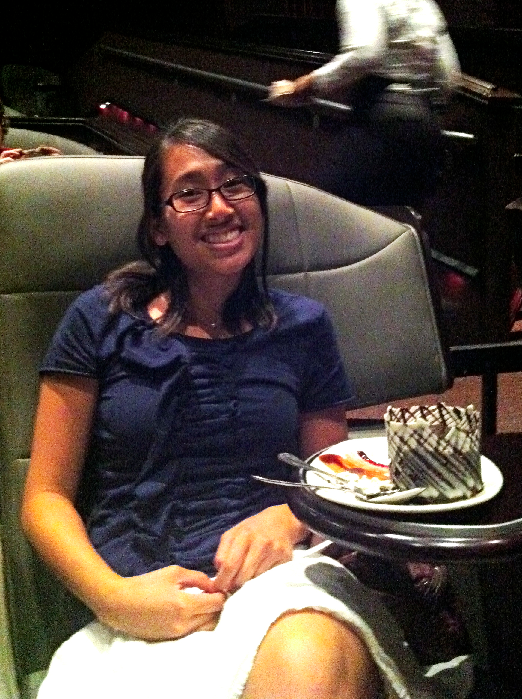 I watched a film from the Gasparilla Int’l Film Fest at a fancy movie theatre, CineBistro. Lighting is still meh, but I must share because that chocolate cake was DELICIOUS!